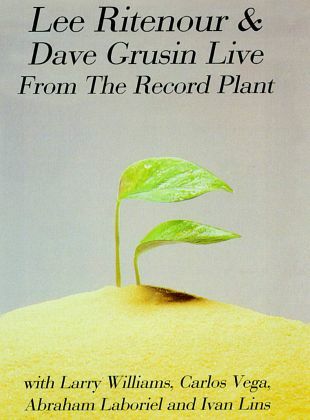 Jazz guitarist Lee Ritenour and pianist Dave Grusin join forces for this session videotaped in 1985, live at the famous Record Plant recording studio in Los Angeles, California. Ritenour and Grusin, who are joined by Larry Williams on sax and keyboards, Carlos Vega on drums, Abraham Laboriel on bass, and Ivan Lins on piano and vocals, perform eight selections in their hour-long set, including "Power Wave," "Rio Funk," "Harlequin," and "St. Elsewhere."